This scene was painted in one of my favorite places to paint in the Blowing Rock area. Up Shoals Mills Road you can pull off and get the most spectacular views of Grandfather Mountain. This particular day, we were dodging thunderstorms all day. I was lucky to get a span of time to paint!! Hope you can join me Saturday, August 11th from 5-8 pm for “Small Works”, a group exhibition of works smaller than 14×18″ at Blowing Rock Frameworks and Gallery. The show will run from August 6 through the 20th. 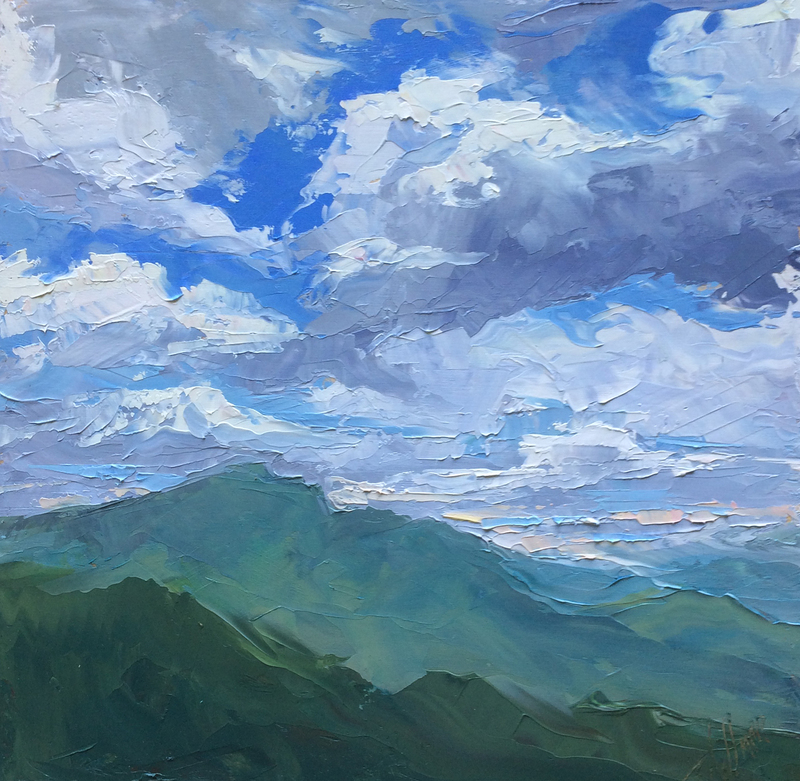 This entry was posted in Art Show, Landscape Painting, Palette Knife Painting, Plein Air and tagged Blowing Rock Frameworks and Gallery, Blowing Rock NC, Boone NC, Grandfather Mountain, Group show, landscape, Oil Painting, Painting Clouds, painting from life, palette knife painting, plein aire, plein aire painting, small works show on August 6, 2018 by Robin Wellner.